Lot 373. 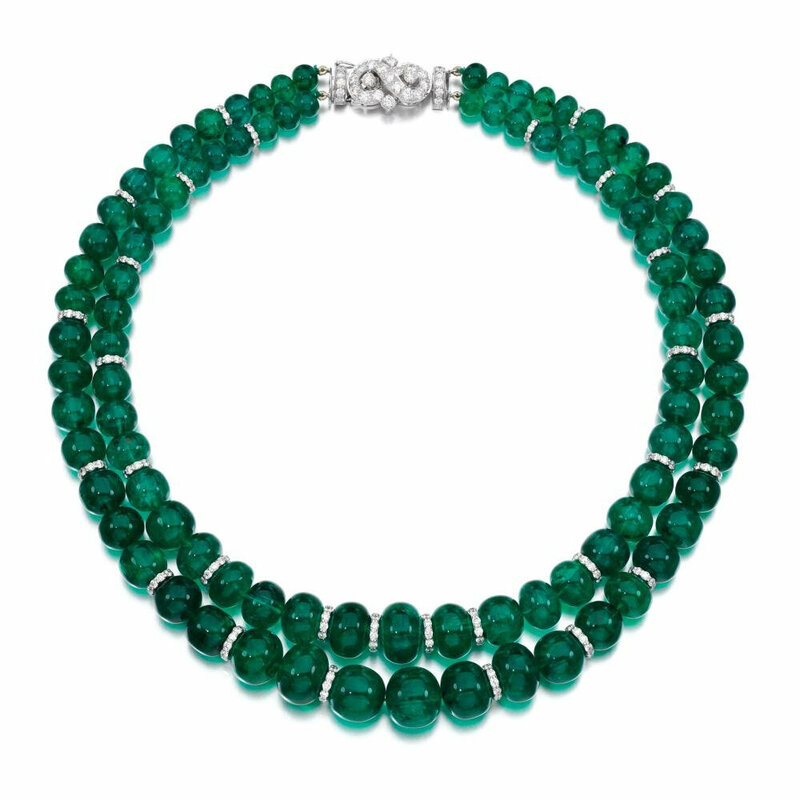 Emerald and diamond necklace. Estimate: £170,000 - £200,000. © Sotheby's. 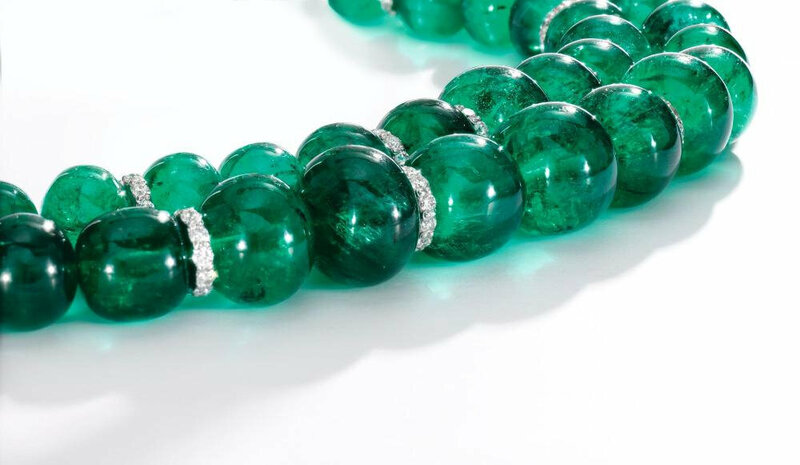 Composed of two rows of graduated polished emerald beads, interspersed by spacers set with brilliant-cut diamonds, to a brilliant-cut diamond clasp, length approximately 475mm, sponsor's marks. Accompanied by Gübelin, report no. 18082068/1 to 95, dated 12th September 2018, stating that the emeralds are natural, with indications of minor clarity enhancement. Measurements from approximately 7.85-7.90 x 6.10mm to 15.50-15.80 x 14.05mm. There are 95 beads in total. Stamped with sponsors mark and 18K to claps. Emeralds deep green, transparent/semi-translucent, eye visible surface reaching inclusions, some with minor fractures, light surface wear and scratches, some areas around drill holes with wear. 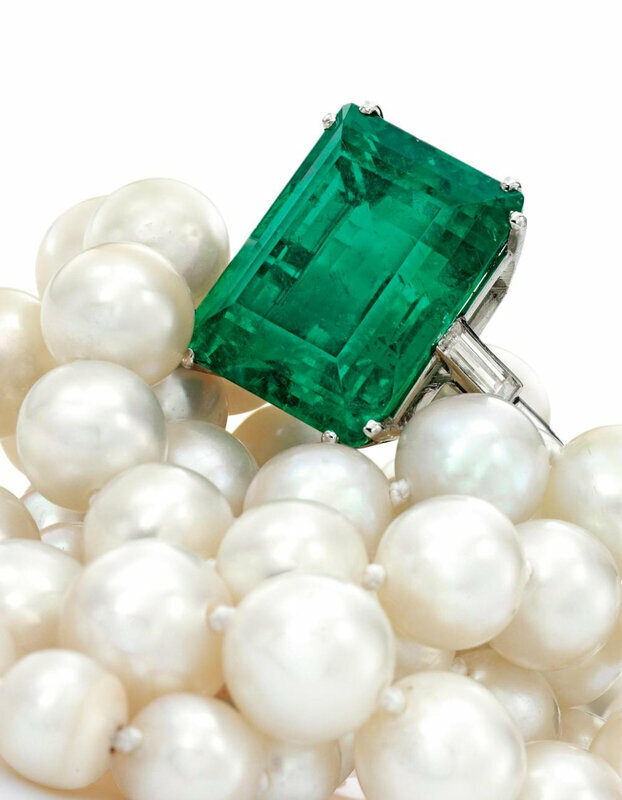 Stated weight of emeralds approximately 902.44 carats. Diamonds bright and lively, stated weight of diamonds in total approximately 14.01 carats. Light surface scratches to metal surfaces. Claps closes securely. Overall in good condition. Gross weight approximately 212.5 grams. Accompanied by necklace pouch. 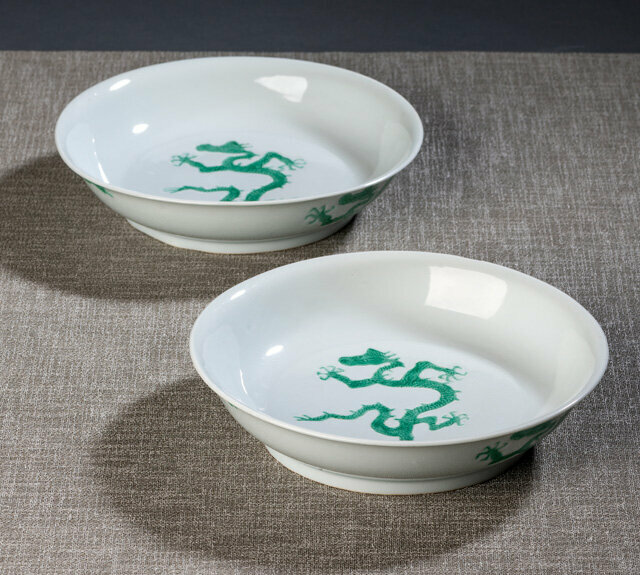 Fine Jewels by Sotheby's, December 11, 2018, 10:00 AM, London.